Breast cancer is a heterogeneous disease in terms of histology, therapeutic response, dissemination patterns to distant sites, and patient outcomes. To date, molecular characterization studies have started to elucidate the biology behind this heterogeneity. For example, 15 years of studies based on global gene expression analyses have helped identify 4 main intrinsic molecular subtypes of breast cancer (Luminal A, Luminal B, HER2-enriched, and basal-like). More recently, The Cancer Genome Atlas (TCGA) breast cancer project has further characterized this disease from a molecular perspective and provided important insights. 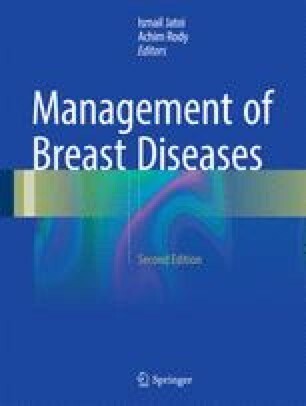 In this chapter, we will describe the main molecular features of the intrinsic molecular subtypes and discuss how the combination of standard clinical–pathological markers with the information provided by these molecular entities might help further understand the biological complexity of this disease, increase the efficacy of current and novel therapies, and ultimately improve outcomes for breast cancer patients.